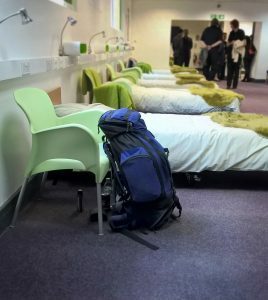 Opened in September 2017, Tabor House is Birmingham’s only permanent night shelter, offering shelter and support to people experiencing homelessness. Tabor House operates year-round, providing safety, support, warmth and encouragement to people without the very basics and necessities of life. Guest receive a warm welcome, dignity, respect and friendship. Tabor House provides a bed for the night, a shower, food and warm clothes. As well as a bed for the night, volunteers support guests to move into more permanent accommodation. Mentors work with guests to provide information and advice tailored to individual needs and strengths. This work can include help with finding training, managing debt, building their employment skills – whatever guests need to turn their lives around. Since opening in September 2017, Tabor House has supported ten people to move into their own accommodation. It has supported even more to move back in with families or shared living arrangements. Tabor House is managed by a Project Manager and a Volunteer Co-ordinator, supported by a large team of volunteers. Some volunteers provide hospitality and welcome, meeting guests’ practical needs. Others volunteer as mentors, giving the one-to-one support that is a key part of Tabor House. There is an ongoing need for volunteers – if you can help as a Hospitality Volunteer (shift based), a Shift Leader or a Volunteer Mentor, contact Tabor House on 0121 647 5106. Two key partner organisations, SIFA Fireside and Midland Heart, make referrals for support. Tabor House is unable to admit people who walk in off the street. Do you have concerns about someone sleeping rough? If they are ill or in danger, call 999. In Birmingham, call the Birmingham Outreach Team (run by Midland Heart) on 0345 602 0533 (during office hours) or 0121 303 2296 out of hours. If you are outside of Birmingham, call StreetLink on 0300 500 0914 or make a referral on the StreetLink website streetlink.org.uk. Birmingham has seen a great increase in the number of rough sleepers. Figures suggest there are 200 people, possibly more, sleeping rough in the city. 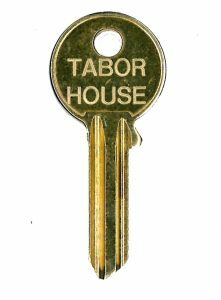 Until Tabor House opened there was no permanent night shelter. Emergency provision was only available for three months a year through the Churches’ Winter Night Shelter. Tabor House initially opened with six beds for a six-month pilot, before expanding to nine beds in 2018. It aims to gradually increase the number of spaces available, ensuring it can continue to support its guests fully while it expands. These numbers were chosen through research and liaison with other night shelters and the Churches’ Winter Night Shelter co-ordinated by Thrive Together. Tabor House is a collaborative project between the Catholic Archdiocese of Birmingham, Father Hudson’s Care, Housing Justice, Irish in Birmingham, local philanthropists and business people, the Birmingham Rough Sleepers Team (Midland Heart) and local homelessness specialists. It is managed by the iShelter Management Committee, made up of representatives from the key partner organisations. To find out more about iShelter, visit www.ishelter.org.uk.